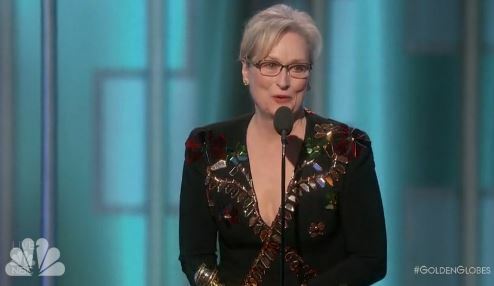 Meryl Streep, an award-winning actress, used her time to speak to an international audience at the annual Golden Globes awards to bash incoming President-Elect Donald Trump. However, she failed to recognize that she and Hollywood are often out-of-touch with the average American, how Americans voted against Hollywood, Hillary Clinton and the Left and put Trump in the White House. Also, Trump did point out that Streep is a Clinton supporter, so it isn’t as if Streep was a neutral party bashing Trump.